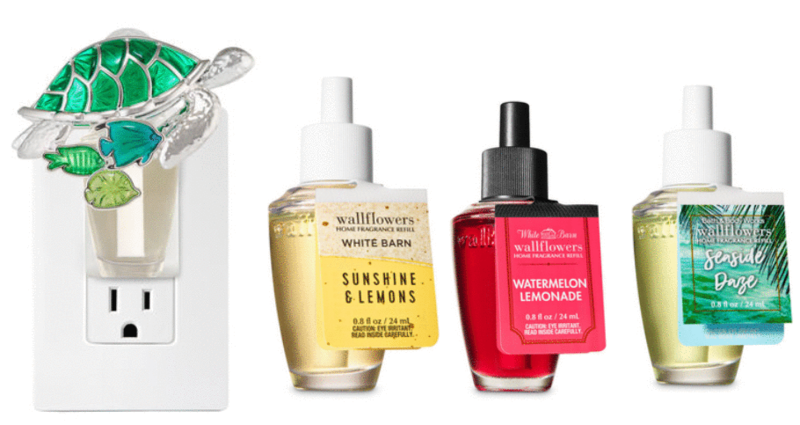 Through today only you can shop Bath & Body Works to get a FREE Wallflowers fragrance refill when you purchase a Turtle & Fish nightlight plug-in! Add both items to your cart and the discount will automatically be applied. Use a code to get 20% off, too! Makes it $8 for both items! Note: You can only use (1) coupon code per order, so use the one that works best for you. The FREE refill deal is valid through today only, 3/19.